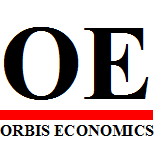 Orbis Economics: Buying gold jewellery is not the same as investing in the metal! Buying gold jewellery is not the same as investing in the metal! A gold price tumble might be bad news if you are already invested in the metal, but it is a good time to get into the gold - either for investments or to make those jewellery purchases. Just one tip - dont mistake gold jewellery for an investment in the metal says Orbis Economics' Manika Premsingh in her latest article on WomensWeb. Read on.. Typically, Indian women have a soft spot for gold jewellery and there is nothing like a gold price crash to delight the gold shopper! Gold prices have come tumbling down in the past few weeks, so it is indeed a good time to buy the yellow metal. In fact, it is recommended that if you must invest in gold, this is as good a time as any, because you never know how long the prices will remain this subdued. But, while it is a valuable metal, don’t for one second think of gold jewellery as a real investment. Thinking of gold jewellery as an investment is essentially a thought pattern that continues from a time when there were few investment alternatives and banking and finance was not a well-developed industry. But today, with multiple investment avenues, gold is a good investment only in times of economic uncertainty. And even then, jewellery is not the best way to invest in gold. Why is buying gold jewellery not akin to investments? Our idea of making investments is to earn a return. But gold jewellery often has lower resale value than the original purchase price. So, it can happen that you end up earning less than what you paid, when selling your jewellery. This is because when we buy gold jewellery, we pay for the metal, the making charges and the designing charges. However, the value of making and designing is lost when we re-sell. We receive only the price of the metal. Now, theoretically speaking it can happen that the price of gold has risen so much since the time you made your purchase that it more than makes up for the loss of making and designing charges. But it is unlikely. More often than not, you end up not just earning less than what you spent, but taking inflation into account, the real value is even lower. What is the use of gold jewellery besides its ornamental value? If you have always nurtured entrepreneurial dreams or wanted to make a special purchase, your gold jewellery might be a good way to fund them. Jewellery that is probably lying in your bank locker and is not required in the near future can be put to good use – just pledge it and get a loan. 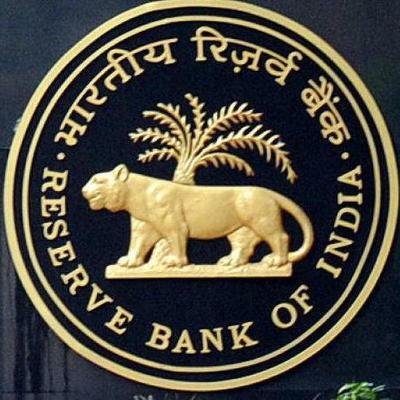 All leading banks provide quick loans against gold jewellery these days in varying amounts. For example, ICICI Bank offers gold loans up to Rs. 15,00,000 and Kotak Bank offers loans up to 90% of the gold’s value. You can choose the bank and offer that works for you and purchase accordingly. Is there a good way to invest in gold? Yes, there is! You can now hold gold like any stocks in the form of Exchange Traded Funds (ETFs). Much like you buy a share, and own a fraction of a company listed on the stock exchange, you can buy an ETF and own a fraction of gold. In other words, you can buy gold in the form of paper units. These ETFs are listed on the stock exchange and are traded on a daily basis. A number of major financial services firms offer gold ETFs (Axis, Goldman Sachs, HDFC, ICICI Prudential among others). Check out this comprehensive list of all Gold ETFs on the National Stock Exchange. If you have an online trading account, you can directly buy the ETFs online or your broker can easily make the purchase for you. In fact, if you want to invest in gold, but don’t want to spend a major sum, ETFs are the way to go. You can buy it in small denominations and keep adding to your investment overtime. It is also easily sold in the financial markets. The other way of holding gold is in coins and bars to ensure that you get a good resale value. Gold coins are also available across leading banks, and these days, even online. They are available in various weights (measured in grams) to suit your pocket and can be easily stored as well. Gold bars can also be purchased and if their size is cumbersome or for reasons of safety, just put them in a bank locker. In fact, not just gold, you can make silver purchases too in coins and bars. The present time is a good time to buy gold ETFs, coins or bars, to ensure that you receive good returns when the prices rise. So go ahead, and invest in gold. Just bear in mind that ornaments you buy are for their own sake. Jewellery is a good valuable to purchase, but not a good investment. At best, at some point you can use it as a pledge against a loan. But if you have to invest in this precious metal, then go the ETF route or buy coins and bars. They can give you good returns over time. Fantastic topic of discussion!! I had a great read. Very informative and a good read. Thanks for the information. Gold is much more interesting, the more it gets older, the more its value rises up. As we know that Gold jewellery is very costly jewellery and lots of things are keep in mind when purchase it. Thanks for information it’s really helpful to us.